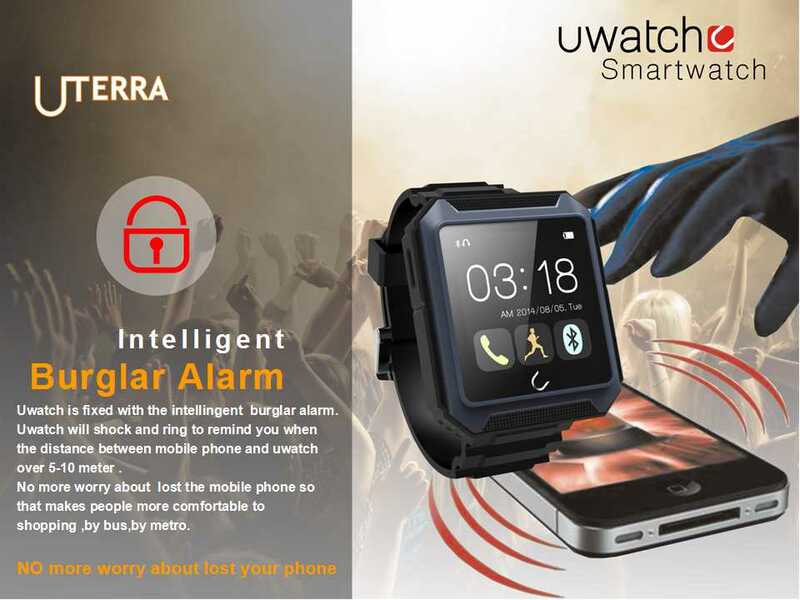 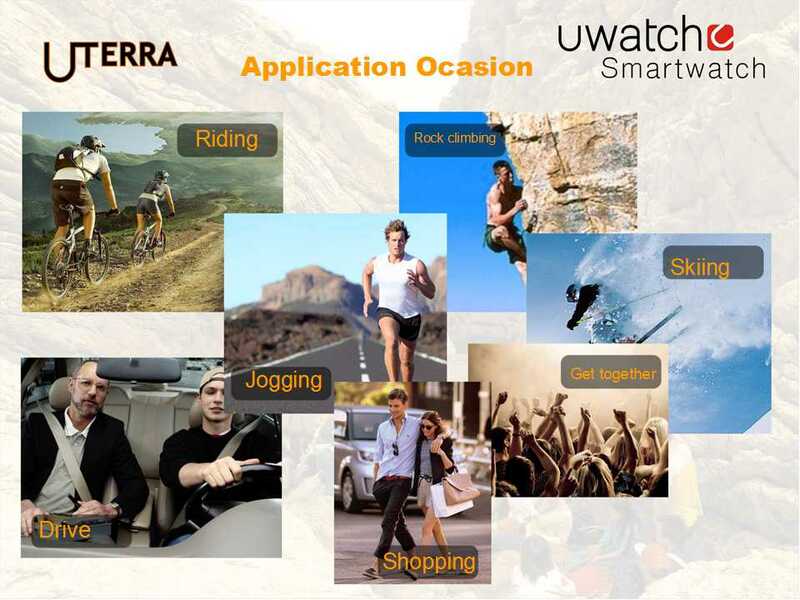 Today, we will introduce a waterproof, dustproof, shockproof watch – U Terra, the new arrival of u watch. 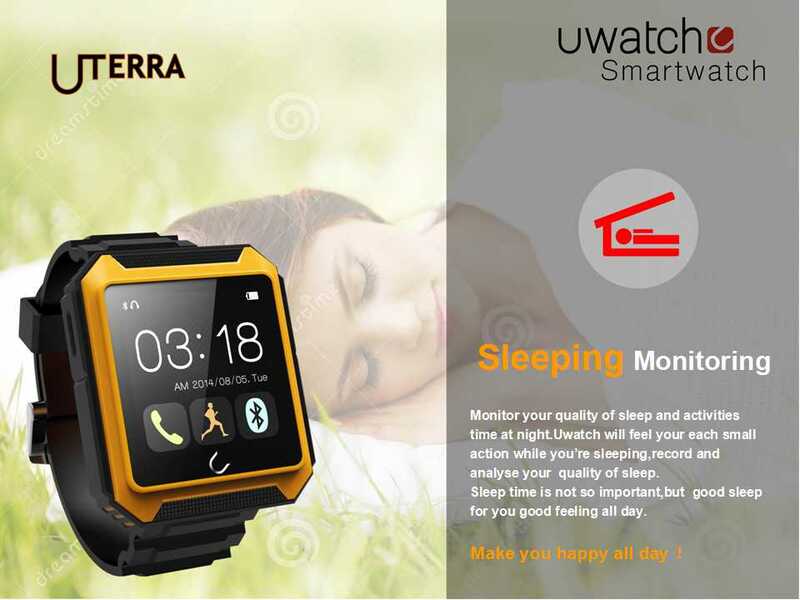 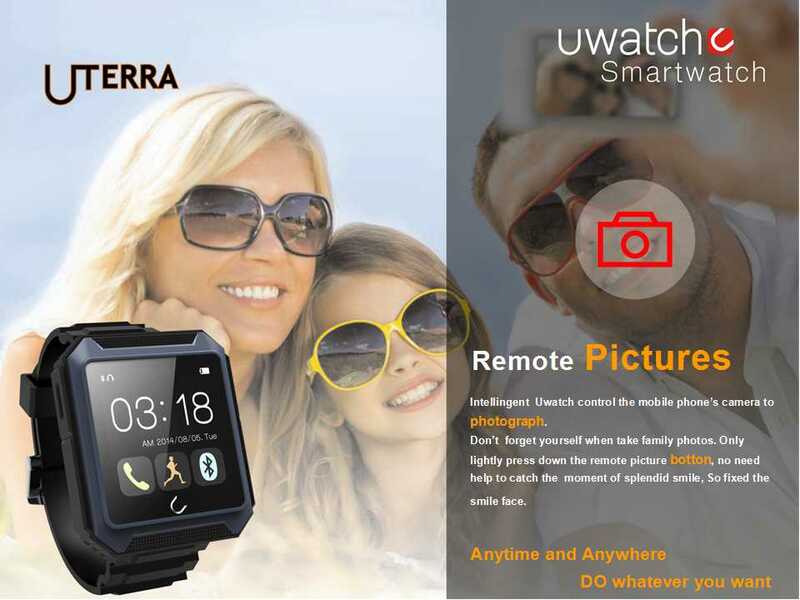 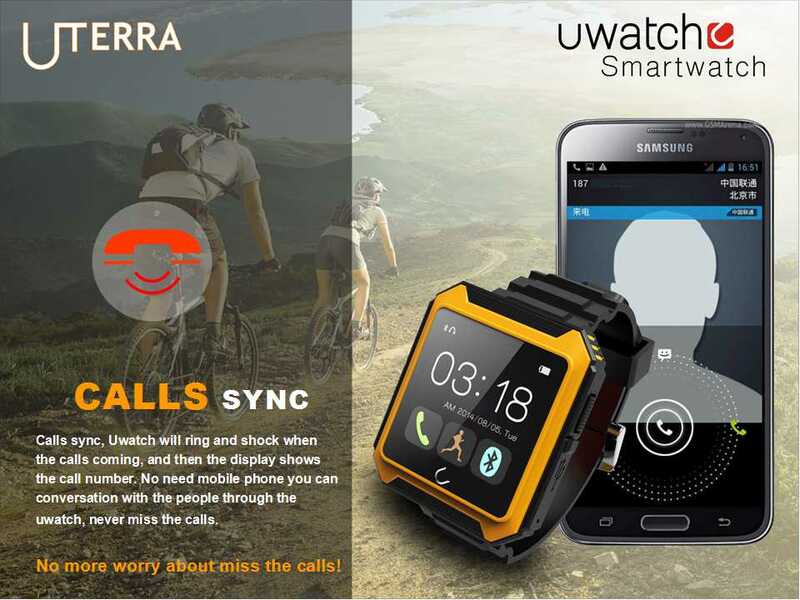 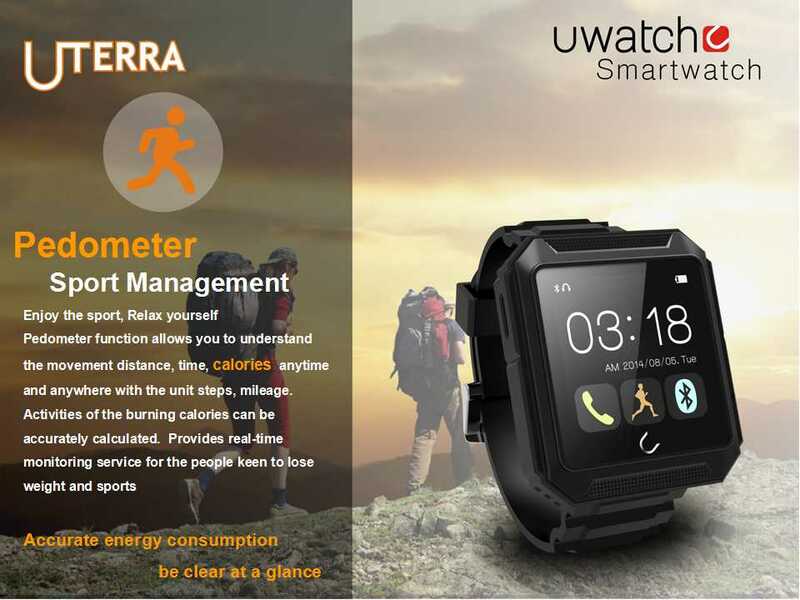 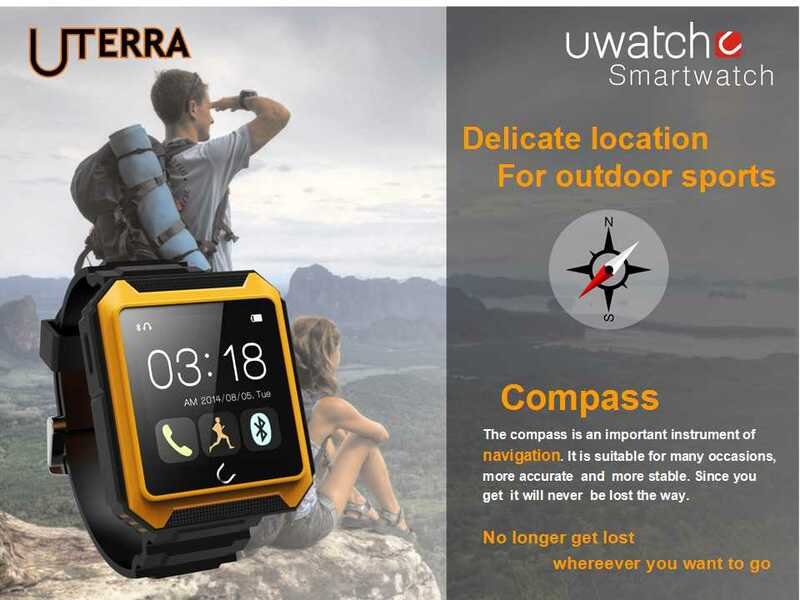 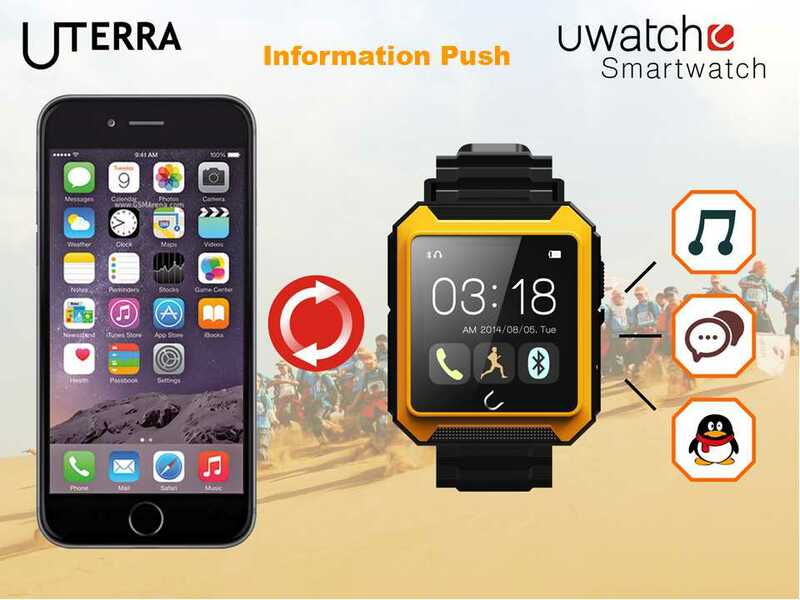 U Terra, the intelligent outdoor bluetooth watch, perfectly compatible with ANDROID & iOS. 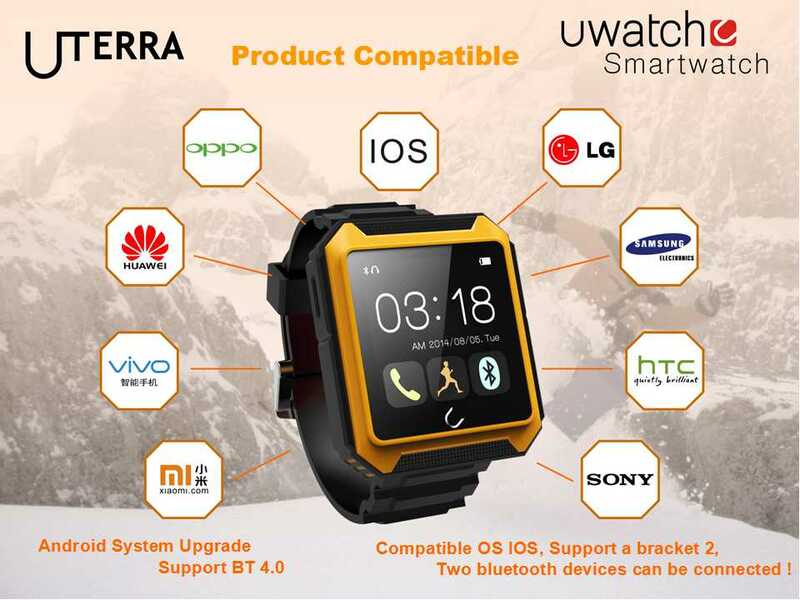 Android system upgrade Support BT 4.0, compatible iOS OS, support a bracket 2, two bluetooth devices can be connected! 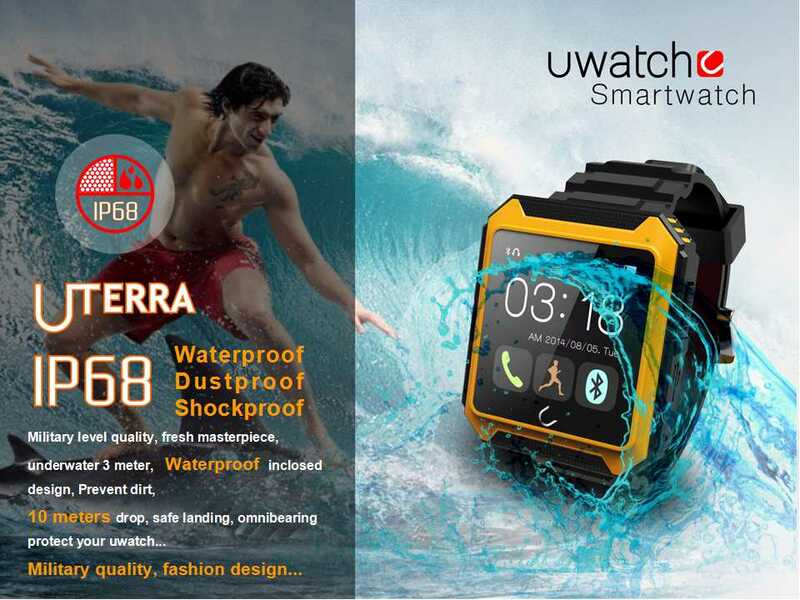 With high-intensity explosion-proof glass, 1.60 viewing angle IPS HD screen, show more outstanding. 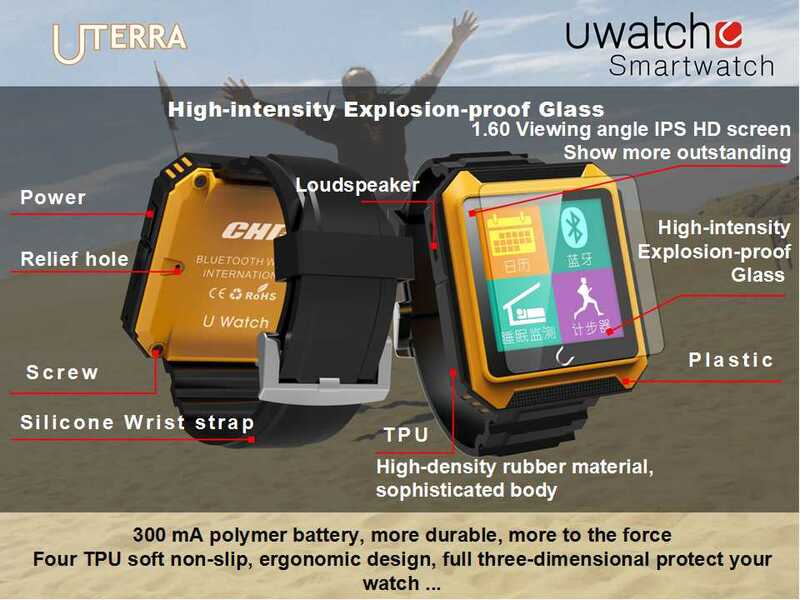 U Terra is more durable, and more to the force with 300mAh polymer battery. 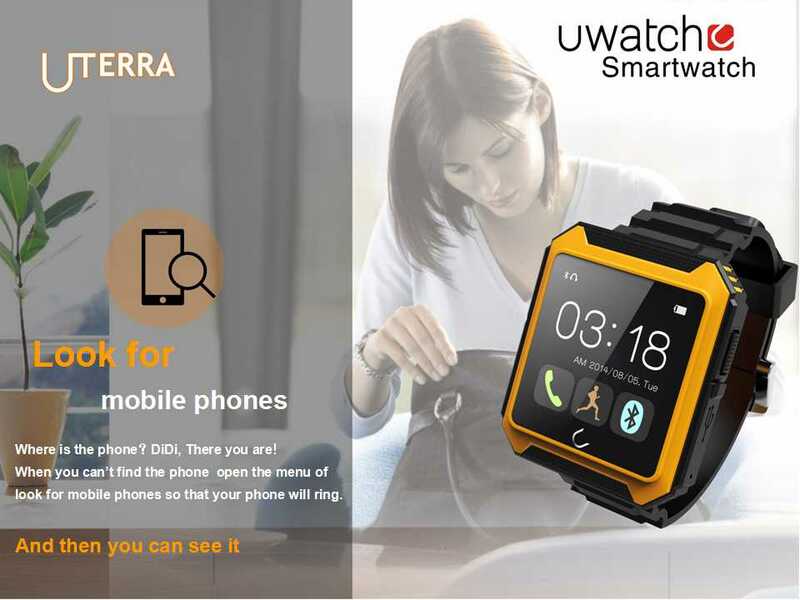 Four TPU soft non-slips, ergonomic design, full three-dimensional protect your watch. 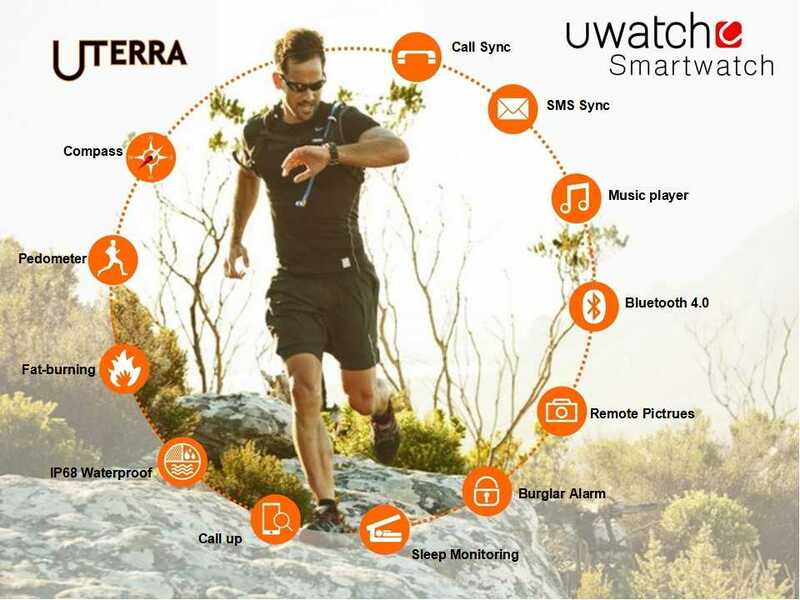 Functions: Call Sync, SMS Sync, Music player, Remote Pictrues, Burglar Alarm, Sleep Monitoring, Call up, Fat-burning, Pedometer, Compass.